How do you know which US envelope format you need? Commercial envelopes are long and thin similar to the international DL envelope, announcement envelopes are rectangular simlar to a C4 envelope and catalogue envelopes are larger and heavy duty being suitable for delivery of catalogues and brochures which is how they got their name. 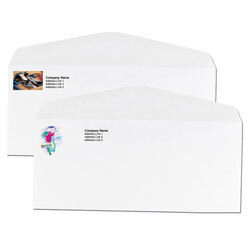 Announcement envelopes are commonly used for greeting cards and invitations. Commercial envelopes are long and thin, commonly used for business correspondance. Catalogue envelopes are larger heavy duty envelopes suitable for brochures and catalogues, they are simlar in shape to announcement envelopes.